What is the purchase of a ready-made business better than starting a business from scratch? This question is set by many businessmen, and it is impossible to give an unambiguous answer to this question. 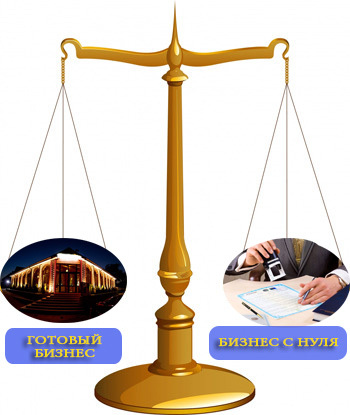 Businessmen from the CIS countries or from far abroad are planning to start business in Europe. The main reason is the increase in profits, access to the large economically developed market of Europe with 500 million inhabitants. In addition, the freedom of movement of goods, services, capital, lack of borders, stability of legislation and security of European law, etc., also greatly influence the choice of foreigners to start a business in Europe or expand existing business in the EU. Foreigners often prefer to buy turnkey business rather than starting a new business in the country of the European Union. The reason is trivial – it saves time and helps to avoid problems with business registration, obtaining licenses and permits for activities, finding a business space, partners, customers, etc. Buying a ready business in Europe is a unique opportunity to get down to business and make a profit without wasting time, effort and additional costs. To avoid the risks associated with the country’s legislation or the specifics of doing business, foreigners often seek advice from local lawyers, accountants, business consultants. They are especially important for starting an activity, as they will be able to show, tell, warn – in one word, give all the necessary information on a specific business project. - saving time for finding responsible employees, potential customers, partners. Despite the many advantages of buying a ready-made business, one must be very cautious. The main issue is to examine the business you want to acquire, to carefully analyze its financial statements for the recent period, to be sure in the absence of debts, potential risks, etc.